Launch of 'Our Geels' The All Ireland Traveller Health Study. Main speakers at the launch were; Prof. Cecily Kelleher UCD, Dr Liz Mitchell Dep. Chief Medical Officer DHSSPS NI, Mary Harney TD, Minister for Health & Children, Dr Philip Crowley Dep. Chief Medical Officer Dept. 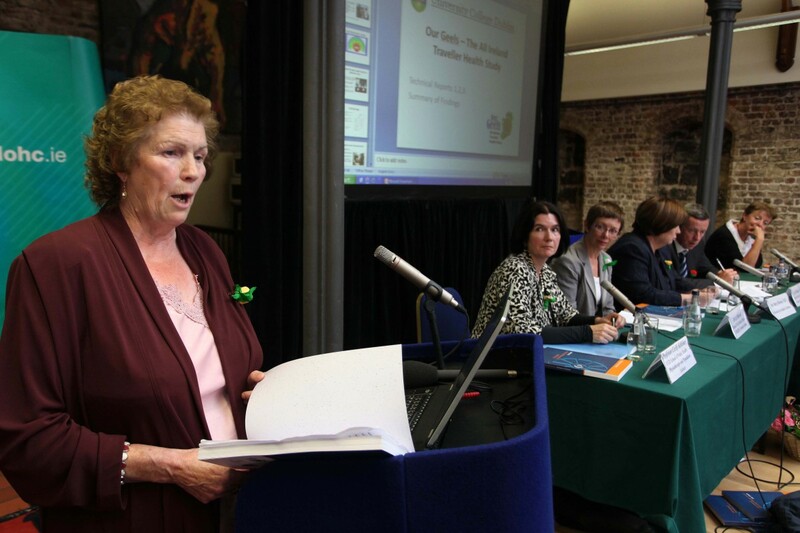 of Health & Children, Missie Collins Traveller Primary Health Worker (speaking here) and Biddy O'Neill Assnt.Nat.Dir. for Health Promotion HSE. ©Photo Derek Speirs. 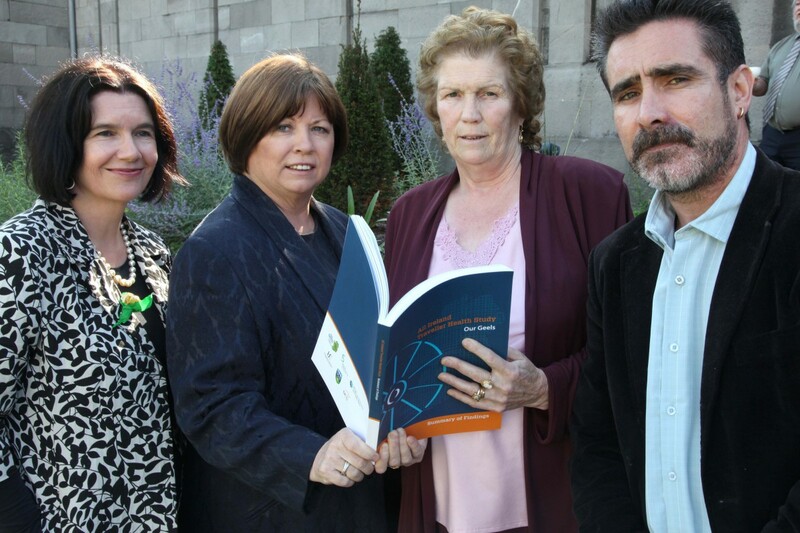 Launch of 'Our Geels' The All Ireland Traveller Health Study. Main speakers at the launch were; Prof. Cecily Kelleher UCD, Dr Liz Mitchell Dep. 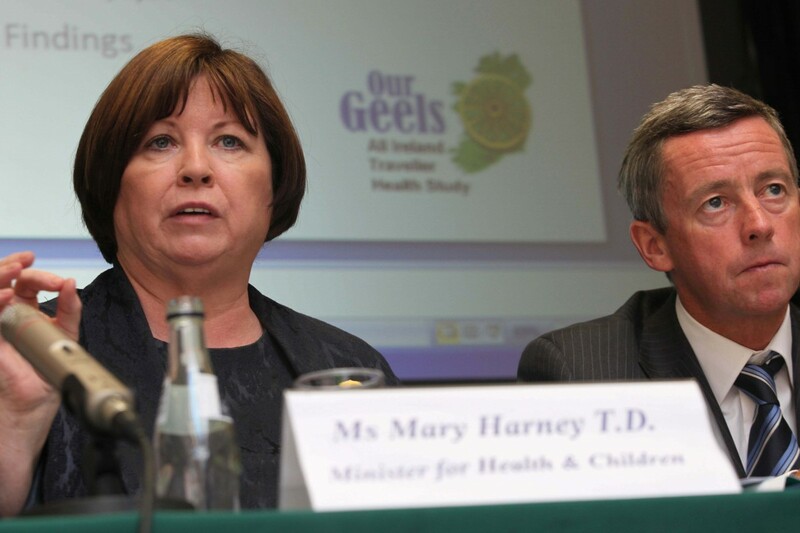 Chief Medical Officer DHSSPS NI, Mary Harney TD, Minister for Health & Children, Dr Philip Crowley Dep. Chief Medical Officer Dept. of Health & Children, Missie Collins Traveller Primary Health Worker and Biddy O'Neill Assnt.Nat.Dir. for Health Promotion HSE. ©Photo Derek Speirs. University College Dublin. 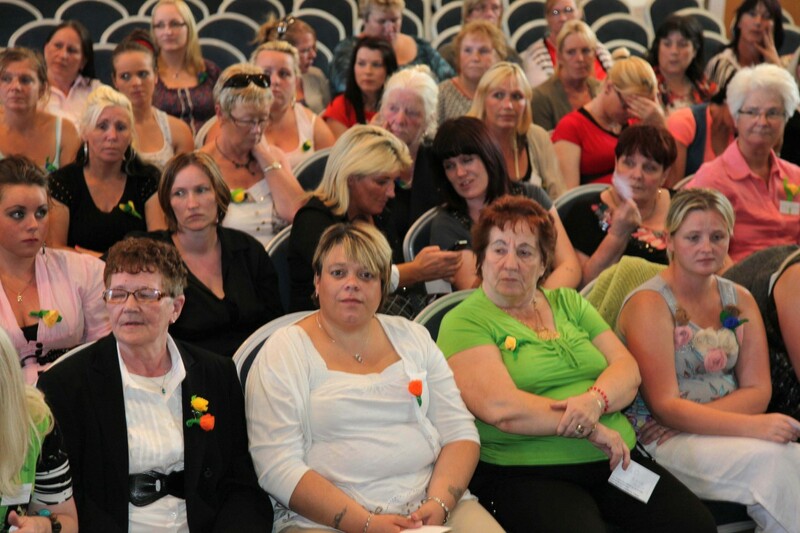 Recognition event following launch event of 'Our Geels' The All Ireland Traveller Health Study. At this event in O'Reilly Hall UCD, Belfield, certificates were presented to Peer Researchers & Study Coordinators in a formal official ceremony. ©Photo by Derek Speirs. Launch of 'Our Geels' The All Ireland Traveller Health Study. 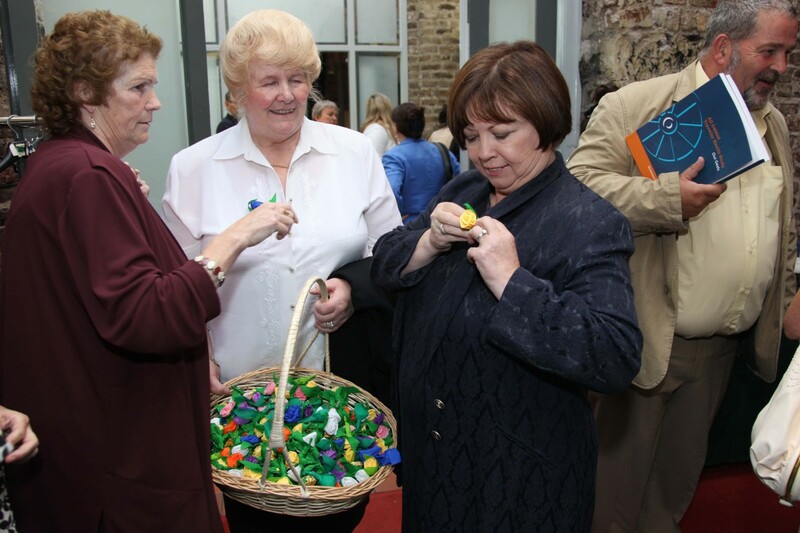 Here L to R; Professor Cecily Kelleher UCD, Mary Harney TD, Minister for Health & Children, Missie Collins, Pavee Point Primary Health Care Project and Martin Collins Acting Director Pavee Point. ©Photo Derek Speirs. The All Ireland Traveller Health Study (AITHS) is the first study of Traveller health status and health needs that involve all Travellers living on the island of Ireland, North and South. Consultation involved over 600 people throughout the regions and was completed in December 2003. The AITHS is jointly funded by the Department of Health and Children and the Department of Health, Social Services and Public Safety (NI), with fieldwork funding support by the HSE and FAS. ‘…Traveller Health is a priority area and considerable work has been undertaken, in consolation with the interest groups, in commissioning this study. The purpose of the Study is to examine the health status of Travellers, to assess the impact of the health services currently being provided and to identity the factors which influence mortality and health status. It will provide a framework for policy development and practice in relation to Travellers’.